Thank you... will be a beautiful tattoo! This is the most flourishing flowery flowing flowetry ever!!! Could this be too busy to work for a tattoo? Copyright (c) 2012 by VMF (Vicky Mardian Font). All rights reserved. Demo and Pro version by Måns Grebäck. This font is for personal use only, please visit www.mawns.com to obtain a commercial license. 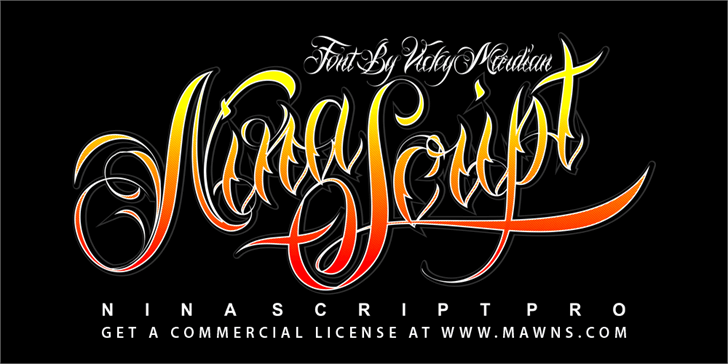 Nina Script is a trademark of Måns Grebäck.